Unconscious biases can be triggered by numerous factors, such as skin color, gender, age, disability, personality type and even where a person attended college. 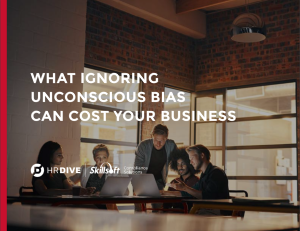 And while it is not the same as intentional discrimination, unconscious bias in the workplace can lead to actions with discriminatory impacts. As challenging as it may be, confronting unconscious bias – especially in the workplace – can be a learning experience that yields excellent rewards organization-wide.